A conceptual illustration of the Devonian geologic period, which spanned from 419.2 to 358.9 million years ago. It is named after Devon, England, where rocks from this period were first studied. 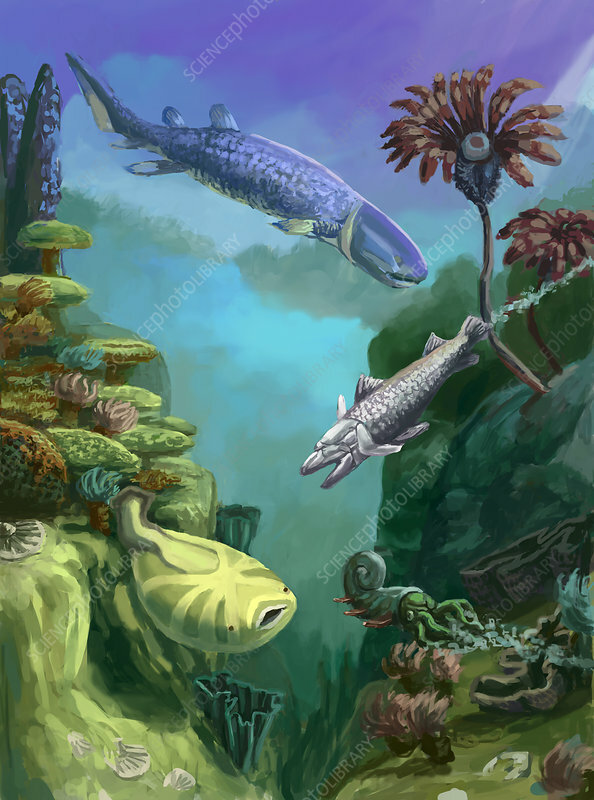 Fish became diverse during the Devonian period, so it is often called the Age of Fish. The first ray-finned and lobe-finned bony fish appeared, while placoderms began dominating aquatic environments.